A keylogger which will capture all the keyboard activity and associate it with the current active window running by record all of this in a text file. Its a demo code. 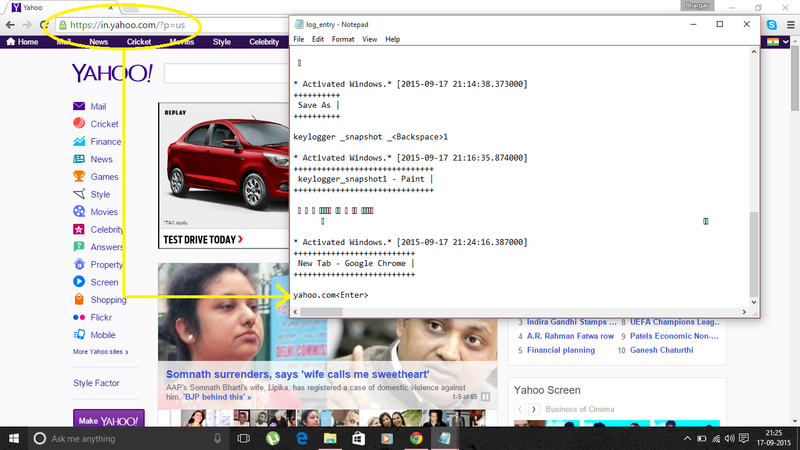 I’m also sharing screen shots showing how it stores the keystrokes and active window information. 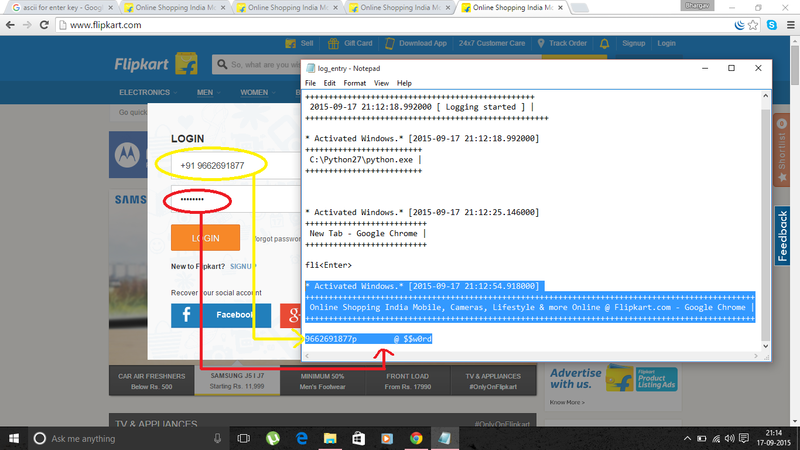 This snapshot show it is capturing login information of a specific website in a text file.